Custom Victorian home with over-sized 2 bed/2 bath guest quarters/apt located on the Heights Hike and Bike trail. Upon entering, you'll notice the wide plank white oak floors and beautiful wood trim and detailing. The first floor features a study and formal dining room. The family chef will love the large center island kitchen with solid maple custom cabinets. The Monticello designed master suite on the first floor includes a separate study nook, walk-in closet with built-in storage and utility space. The luxurious master bath features custom dual vanities, large shower and heated floors. Second floor features 3 bedrooms (2 suites) and a game room. Bonus room on the third floor. Outdoor spaces include covered front and side porches, side yard and patio. Over-sized 3 car garage with lots of workshop features. Amenities include mosquito system, irrigation, smart home wiring, fiber optics, security cameras, & wet bar. Directions:From the Galleria, take 610 North to I-10 East. Exit Heights Blvd, go North. Turn left on W 9th, turn left on Nicholson. SchoolsClick map icons below to view information for schools near 838 Nicholson St Houston, TX 77007. Listing provided courtesy of Norhill Realty. Home for sale at 838 Nicholson St Houston, TX 77007. Description: The home at 838 Nicholson St Houston, TX 77007 with the MLS Number 15952869 is currently listed at $1,150,000 and has been on the Houston market for 56 days. 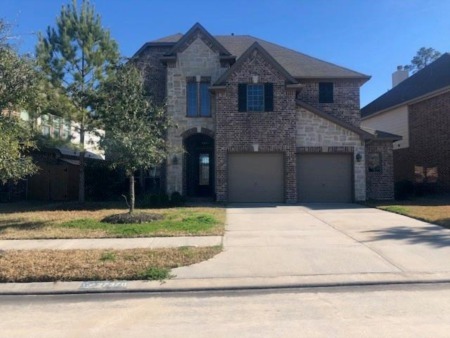 You are viewing the MLS property details of the home for sale at 838 Nicholson St Houston, TX 77007, which is located in the Houston Heights subdivision, includes 4 bedrooms and 5 bathrooms, and has approximately 3778 sq.ft. of living area.